Geoff joined the Clinic on Elm team in the fall of 2015. Geoff attended Notre Dame College High School in Welland. An avid athlete, he received a baseball scholarship and attended Niagara University, graduating in 2010 with a Bachelors in Science. He then attended McMaster University in Hamilton and completed his Masters of Physiotherapy in 2013. Prior to joining our clinic, Geoff had the opportunity to work in some busy orthopaedic clinics in Cambridge and Waterdown which helped him to develop and extend his treatment knowledge. These opportunities allowed Geoff to gain an interest in treating orthopedic injuries using a combination of exercise, manual therapy and education to aid in the patient’s recovery. Additionally, Geoff has certification in acupuncture. Geoff is active in the community. A Toronto Blue Jays fan, he has a strong interest in baseball and is a skilled pitcher. In his spare time, he enjoys working out at the gym. It is our pleasure to have Geoff as a part of our team. Joe began his post-secondary education at Niagara College in Welland, where he obtained his diploma in Fitness and Health Promotion, also gaining experience as a Certified Personal Trainer through the Canadian Society for Exercise Physiology. 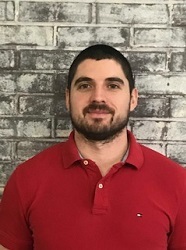 Joe then went on to complete his H.B.A.Sc in Kinesiology from the University of Guelph-Humber in Toronto, before attending McMaster University in Hamilton, where he obtained his physiotherapy degree in 2017. 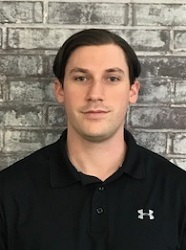 Joe combines his knowledge of exercise physiology with hands on manual therapy skills and therapeutic modalities to provide a comprehensive rehabilitation package tailored to each individual. He utilizes an active rehabilitation approach, empowering individuals with the skills and guidance required for them to reach their goals. Joe believes in updating his knowledge and skills through research and continuing education. He has completed courses in soft tissue release, acupuncture, and attends annual physiotherapy symposiums. During his spare time, Joe can be found spending time with his family, or maintaining his active lifestyle at the gym. Amanda graduated from Canadian Therapeutic College in 2009 with a Massage and Sports Injury Therapy diploma. Since graduating, she has focused on providing her clients with a variety of treatment options, such as; hot stone, thermal palms, fascial release, kinesio taping, therapeutic cupping, lymphatic drainage, acupressure, advanced pregnancy massage, aromatherapy and most recently massage therapy for oncology. Amanda continues to enjoy her volunteer work with sporting events such as the Canoe and Kayak Championships in Welland and the PanAM Games in Hamilton where she helped support athletes with sports injury therapy and first responder skills. Amanda is married to David and has a daughter, Romy. If she is not at home or with a client you can usually find her at a local pool doing laps or out in the lake. 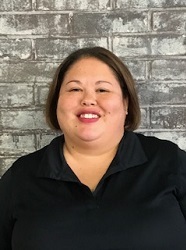 Amanda looks forward to assisting you achieve your goals whether it be to get rid of that stubborn knot, increase your range of motion or just time to relax and get away from your everyday. She looks forward to seeing you soon. Sherri works overseeing the daily administration of the office. She began working at the office in 1998. Sherri is a graduate of Brock University with a Bachelor of Recreation and Leisure Studies degree. She is a certified chiropractic assistant, with additional training in laser therapy and the many techniques that are offered within the clinic. She often attends the same seminars that both Dr. Jim and Dr. Mike attend. Sherri is married to Dr. Jim and enjoys spending time with her girls. Deanna joined the staff in 1999. She was looking for a different direction, and we were happy to have her join our staff. A familiar face to many patients, she is an outstanding member of our team. Deanna is a specialist in WSIB and her knowledge is put to the test often! Deanna is married to Stan, has four wonderful children, two fantastic daughter in laws and three wonderful grandchildren. Lisa joined our staff late summer of August 2015. Lisa is an active member of our community and has extensive office experience. Her friendly smile and positive energy adds a special touch to our front desk. Lisa enjoys skiing and biking. She is married to Mark and has two children who attend school in Port Colborne. It is with great pride that we welcome back Karen to our front desk. Karen adds a wealth of knowledge and always has a smile on her face. Her dynamic personality and welcoming attitude compliment our already fantastic staff. Karen is a life long resident of Port Colborne, married to Wes and has two children attending school in Port Colborne.